Today starts a week that will in sorts be the conclusion of something that in theory in 1986 when the Leicester University lector David Baldwin (I recently wrote here on the blog about his excellent book “The survival of Richard of York”, see literature folder) suggested in a paper that Richard III most likely still was to be found within the area of Grey Friars where he had been buried without much ceremony after being displayed naked for a number of days, most likely within the precincts of the Lancasterian Collegiate foundation of the Annunciation of Our Lady, to make it clear to every Yorkist sympathizer that the king was dead and Henry Tudor was now on the throne. The Tudor chronicler Polydore Vergil was there and would later write that the former king was buried after two days without any pomp, “in thabbay of monks Fransiscanes at Leycester” which was confirmed by john Rous. Henry eventually made sure that Richard´s body were enclosed in by a suitable tomb, and it seems a monument made from marble was also erected in the 1490´s. All this was most likely destroyed in 1538 during the suppression of the friary in 1538. 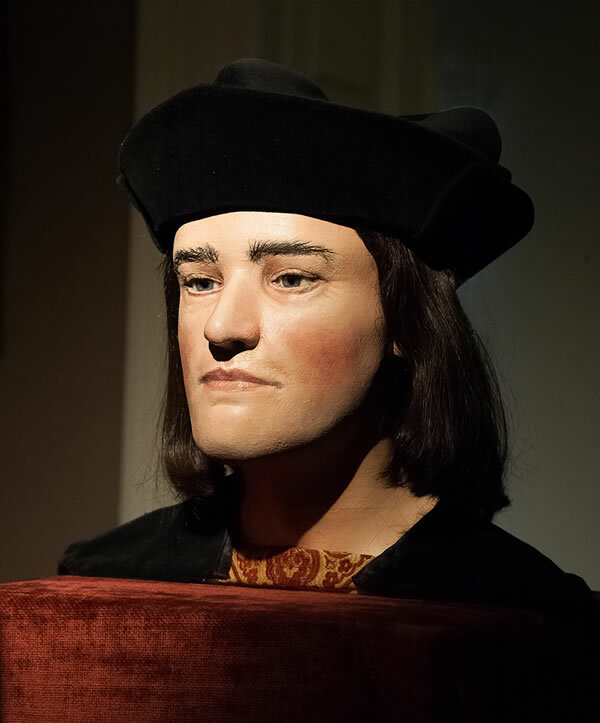 According to legend, the remains of Richard´s body should then have been carried through the streets of Leicester and eventually thrown in the river from Bow Bridge. David Baldwin however refers to the fact that a number of skeletons were unearthed in an excavation at the St Martin´s end of the site when New Street was laid in the 1740´s. And then it happened. In March 2011 Philippa Langley of Richard III Society contacted the University of Leicester and its Archaeological Services for a possible excavation of the earlier mentioned Grey Friars site. Founding was raised and in a slightly compressed story one can say that the rest is history. 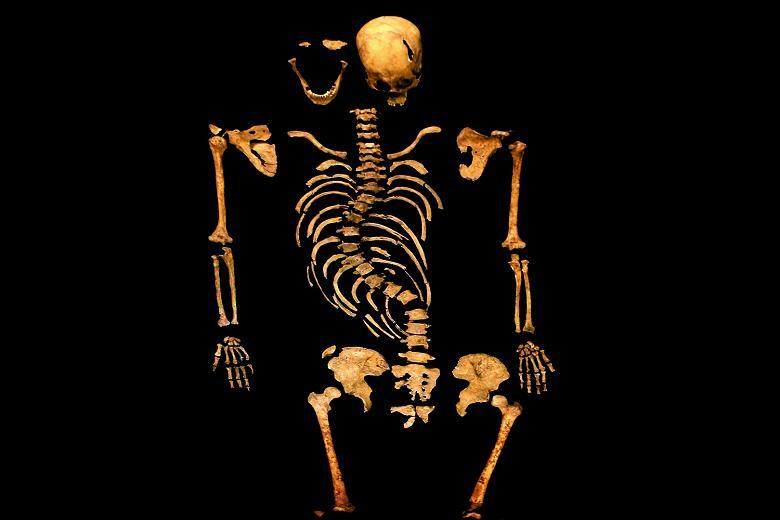 A skeleton was found during the dig in the Grey Friars area in august of 2012, hands bound and with a curved spine. In February 2013 it was established, not least by the DNA of a descendant of Richard´s sister Anne – Joyce Ibsen – that the lost king had finally been found. Today his coffin will leave the University of Leicester at 11.40 local time, after 50 minutes earlier for the first time have been presented to the public and taken of a journey past the places Richard would have passed before the battle and stopping at Fenn Lane Farm, the closest one will be able to stop to the place with Richard died. At St. Nicholas Church the coffin will be transferred to a horse drawn carriage after a short service and finally arrive at Leicester Cathedral at 17.45 after a 30 minute procession through the city of Leicester. 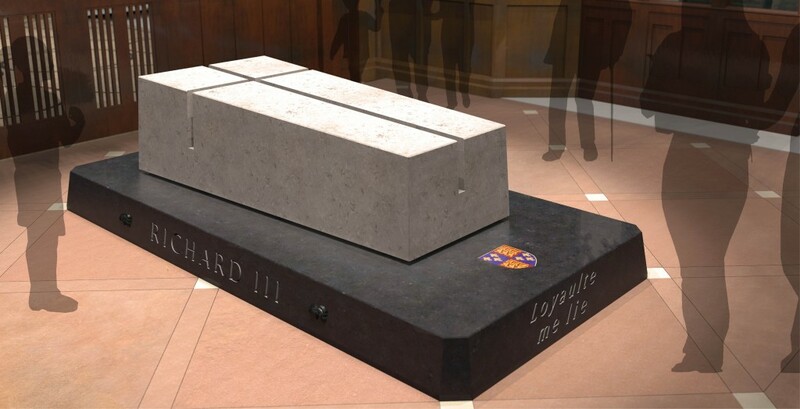 During Monday, Tuesday and Wednesday the cathedral will be open to the public at certain hours, program here, and on Thursday at 11.30 am local time Richard III will finally be put to rest.